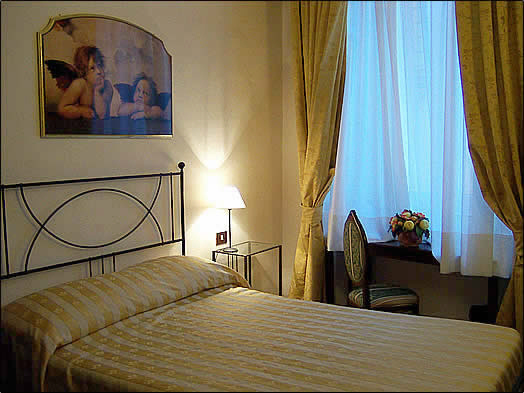 The Bed and Breakfast RELAIS IL CAMPANILE is located in the heart of Florence , a few steps away from the "Duomo" cathedral. You will be near to the most important museums, historical monuments and squares, as well as you will have the possibility to enjoy your shopping in Florence 's most elegant shops. The rooms have been carefully furnished and offer comforts like private bathroom, air conditioning, safety box and hair dryer. The Breakfast is included in the prices. Single room with French bed (cm 140) equipped with ensuite bathroom with shower and hairdryer, air conditioning (24 hours) or heating, phone, refrigerator, Tv, safety boxand kattle for tea or coffee. Services: Breakfast served in the room, Bath and Bed Linens, daily cleaning, free WI-FI in the room. Small Duoble room with French bed (cm 140) equipped with ensuite bathroom with shower and hairdryer, air conditioning (24 hours) or heating, phone, refrigerator, Tv, safety box kattle for tea or coffee. Services: Breakfast served in the room, Bath and Bed Linens, daily cleaning, free WI-FI in the room. Duoble room (King size bed or twin beds) equipped with ensuite bathroom with shower and hairdryer, air conditioning (24 hours) or heating, phone, refrigerator, Tv, safety box kattle for tea or coffee. Services: Breakfast served in the room, Bath and Bed Linens, daily cleaning, free WI-FI in the room. 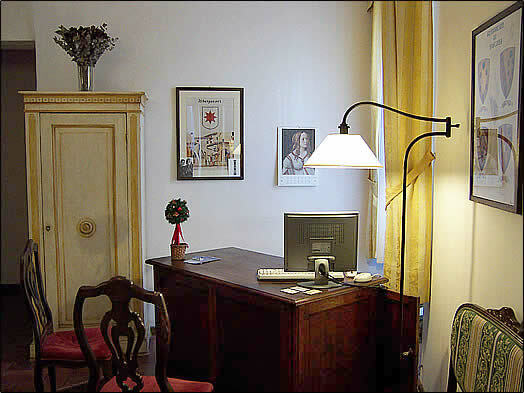 The B&B is situated in the heart of the historical city centre, few steps from the Duomo and Accademy Gallery, inside a restored building od the 15th century. We are closed to the most important museums, monuments and squares, and next to the best shopping areas. 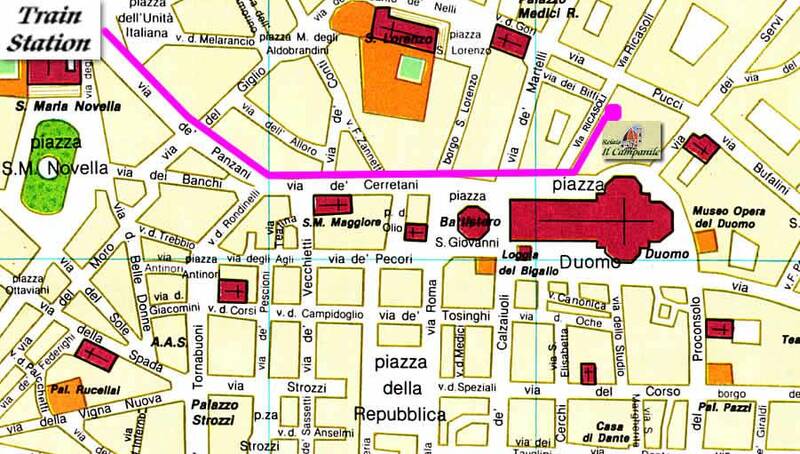 To arrive by walking from the main train station, (central railstation Santa Maria Novella), is very easy, we are distant only 400 mts.